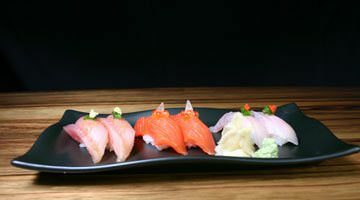 This article from 2006 by author Tami Parr of The Pacific Northwest Cheese Project answers many questions about the care and storage of cheese. Let’s start with a basic precept: cheese is high maintenance. From production to storage to consumption, cheese demands the full attention of the cheesemaker, the cheesemonger and the cheese enthusiast. Cheese is not a food specially developed to have a long stable shelf life; you have to approach cheese storage with more patience (and perhaps a sense of adventure) than you may be used to devoting to other food products. Some background. From the minute that the cheesemaker separates the curds from the whey, cheese is in a continuous state of dehydration. Fresher cheeses such as ricotta or fromage blanc are moist, even runny cheeses. Age a cheese and you get a progressively harder and firmer product like a cheddar or a tomme. Throughout the maturation process, cheese breathes and exchanges moisture with the surrounding air. This process sounds a little creepy, but in fact nurtures all of the various organisms that make cheese so amazing. The take home message here: be ready to commit to your cheese and spend some time with it to foster this process. Treated well, great cheese will be its own reward. First things first. Cheesemongers repeat this mantra over and over–don’t buy more cheese than you can eat within a few days. Cheese shops have specially controlled refrigeration and the time and know-how to monitor the state of their cheeses, turning the wheels, trimming mold, bathing washed rind cheeses and otherwise maximizing the cheeses’ life span. Wrapping Cheese. Once you buy a wedge of Juniper Grove Tumalo Tomme, a hunk of French Cantal, or a gushy Epoisses, what should you do with it? Some cheese aficionados criticize grocers for wrapping their cheese in plastic. I asked Sasha Davies, cheese affineur at Murray’s Cheese Co. in New York, her opinion on plastic-wrapping cheese. She says, “plastic wrap is not totally evil–once you’ve cut a piece of cheese it needs to be protected from losing moisture–plastic wrap can help with this.” Opinions may vary on this point, but my feeling is that plastic wrap for a few days is not going to hurt your cheese. Carmen Bleything, cheesemonger at Beecher’s Handmade Cheese in Seattle, recommends wrapping cheese in porous material like waxed paper, freezer paper or butcher paper that allows cheese to breathe for short term storage. “If all you have is plastic wrap,” Carmen says, “I would suggest just changing it every couple of days, or each time you unwrap the cheese.” Fresher cheeses such as ricotta should be stored in a plastic container. Controlling Humidity. In a perfect world, you would have a cheese cave at home where you could store your cut cheese at around 50-60 degrees Fahrenheit and 80% humidity, as Neal’s Yard Cheese Shop in London recommends. In Cheese: A Connoisseur’s Guide to the World’s Best, Max McCalman suggests that, as an alternative, you could store your cheese in a corner in your basement (approximating a cheese cave) . . . but I’m afraid this could lead to other problems. Really, the simplest and most practical solution to the problem of where to store cheese is the refrigerator. Unfortunately, refrigerators desiccate whatever is placed in them. If your refrigerator allows you to control the humidity of some areas, store your cheese in a higher humidity area or drawer. Aged cheeses that have already lost a lot of moisture can handle lower humidity better than younger, moister cheeses, which will lose their character quickly if they’re allowed to dry out. Lacking humidity control, place wrapped cheese in a vegetable bin or other environment (even a large plastic container) that will shield the cheese from your refrigerator’s dehydrating air flow. Learn to Love Mold. Mold and bacteria are an integral part of the cheesemaking process; they impart flavor and character to cheese. 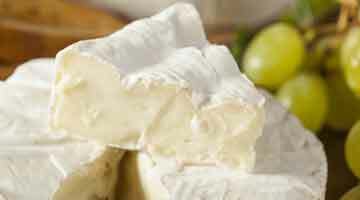 Soft ripened cheeses (of the Camembert genre) are intentionally sprayed with mold cultures, which leads to the development of the semi-firm rind that preserves the softer insides. Cheeses like cheddars or Stiltons, which may be aged anywhere from eight months to several years, form a crusty, moldy layer on the outside of the cheese that is generally wiped or washed off by the cheesemaker periodically as part of the aging process. So if your aged cheese picks up mold while in the refrigerator, simply trim it off and enjoy what’s left. Mold on a softer cheese, however, most likely means that it’s well past its prime. • Store like cheeses together. Parmigiano Reggiano is going to store much differently than a Reblochon or other soft ripened cheese, so it doesn’t make sense to wrap these two up together in the same piece of waxed paper. Aged cheeses are more durable and will store better than softer, fresher cheeses. • Milder cheeses are best stored separately from stronger cheeses, which can impart their flavors to the milder ones. Blue cheeses should generally be stored on their own, since the mold from the blue cheese can particulate over whatever is stored with it. • Don’t freeze cheese! Freezing destroys the character of the cheese. As Steve Jenkins says in his Cheese Primer, “simply get (the notion of freezing) out of your head.” If you choose to freeze your cheese, use it for cooking rather than enjoying on its own. Some people have reasonable success freezing high moisture, fresh fromage blanc style cheeses, however. • Trust your instincts. 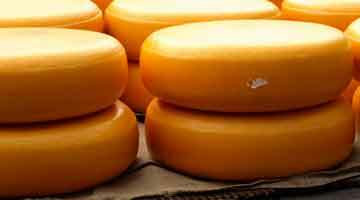 Ammonia smells, black mold and slimy surfaces are all good indications that your cheese may be too old for consumption. Different people have different levels of tolerance for this sort of thing, but here’s my suggestion: if it grosses you out, throw it out and don’t look back. • Your results may vary. Remember, good cheese is a high maintenance gem; variables like room temperature, humidity, the temperature inside your refrigerator and the temperature outdoors will all affect the lifespan of cheese. Experiment with what works best. Previous Post: « Wine Paraphernalia – Corkscrews, Decanters, Glassware, Etc. enjoy periodically reading you work from Wisconsin. Steve’s Cheese has papers for cheese that help keep it alive. They also come with labels and will make your cheese drawer look much cuter and more organized, like a cheese display case in your fridge! Enjoy reading about cheese care.But how would I be able to tell if it’s bad?? How long can cheese be left out at room temoerature under a bell jar/board? HELP….we just got our motorhome back after 9 days at the repair shop and the refrigerator wasn’t working…I had just bought $40. worth of cheese and am wondering if it is safe or do I have to throw it away? I’d say you have to eat it. I mean, how bad could it get? Think of the last time you spent the early morning hours in the loo with food poisoning. I love cheese and understand your passion for it. Recently I accidentally left my sealed packets of various cheeses in my car for 3days. The daily weather report was averaged 26degrees celsius. When I discovered my error each packet was firm but with about half of an inch of oil around it. Do you think that these cheeses will still be good for consumption? I have placed them in the refrigerator and is considering using them for cooking. as good as it went in? I can, but I’m a food professional…. three days in a locked car = sous-vide? might thin the crowds a bit.